IDS members login to our secure and scalable web servers to view, compare, and graph weather data from any number of weather stations. 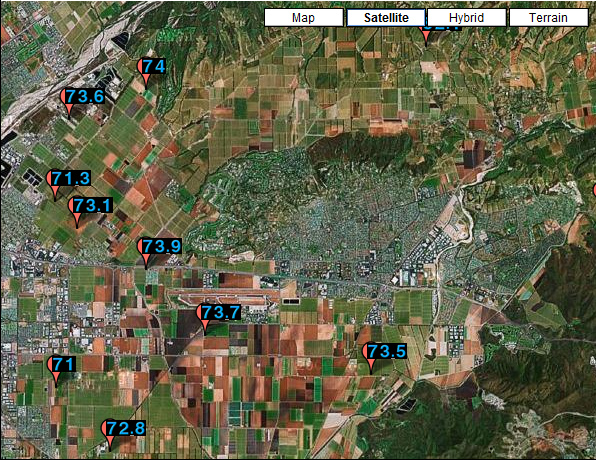 Growers can view soil moisture conditions from any number of locations and plot against irrigation times and acquire irrigation efficiencies. Weather data is obtained from weather stations we install and maintain on your property. We can also obatin data from our shared network or from your own weather stations depending on the type. (Please contact us for more information on this option.) To see more details about our high quality weather stations please see our weather stations page. Below are some sample screen shots from our service. For a full demonstration of our system please contact our sales representative from our contact page. 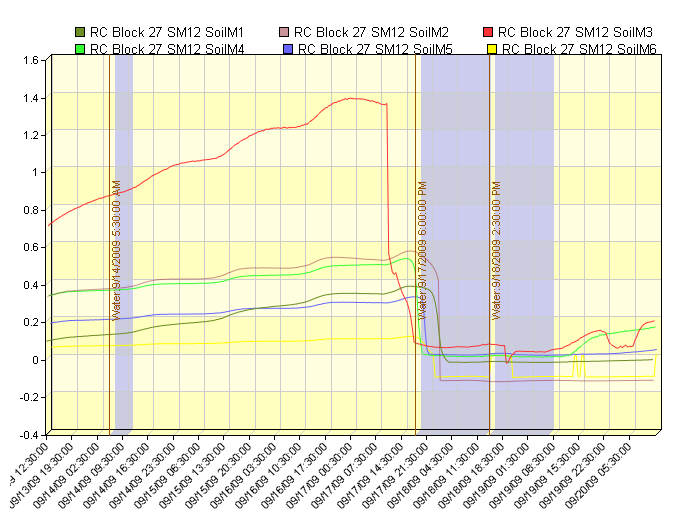 View a custom set of real time parameters and daily summary data in table or graph formats. 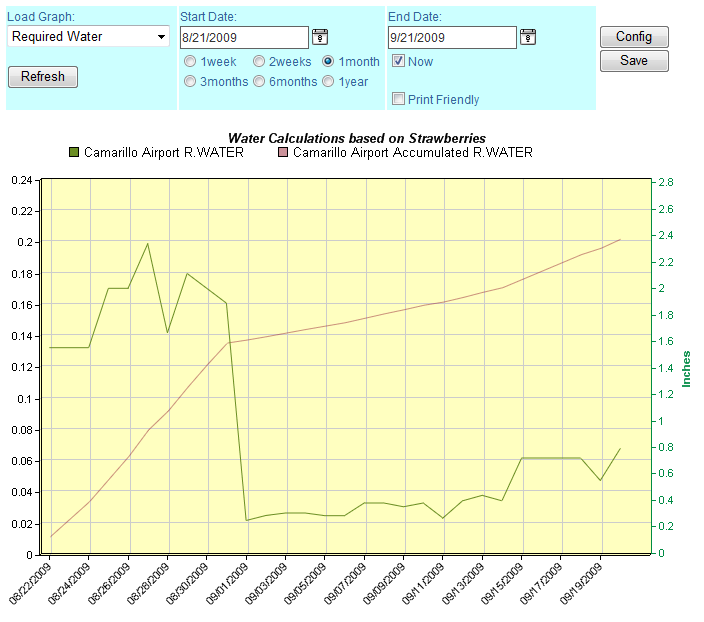 Graph daily required water based on specific crops and see the accumulated required water for any time period. View all your weather stations in a map format showing temperatures or any other sensor reading directly on several different map types.